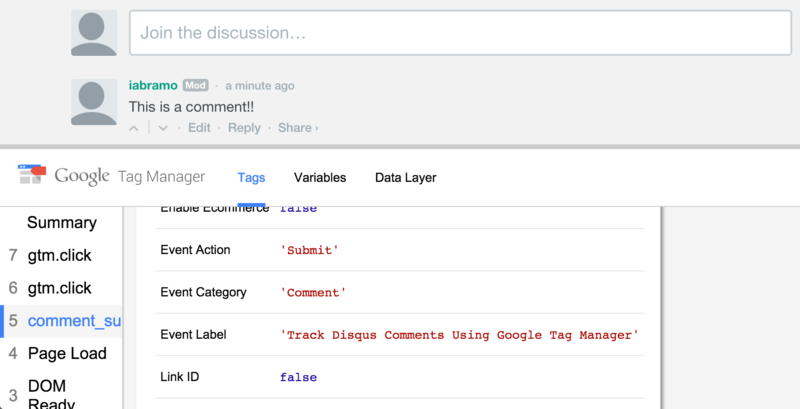 I recently implemented Disqus comments on my blog and have used them in the past. They’re great for allowing users to post a comment with their social media account. It’s also really easy to implement on any website. 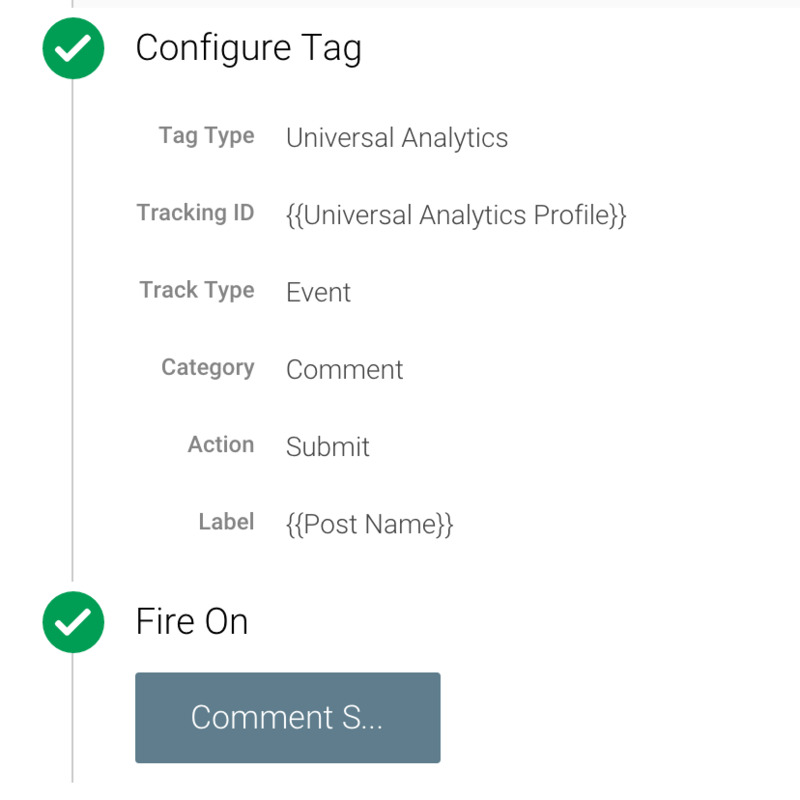 In this post, we’ll take a look at how you can track comments in Google Analytics using Google Tag Manager. I won’t go into detail here on how to perform this step as Disqus provides plenty of documentation on this. Just be sure that you fill in the PAGE_URL and PAGE_IDENTIFIER. More info on the importance of this can be found here. Trust me. You’ll want to make sure you do it because you can run into some hairy situations in the long run if you don’t. 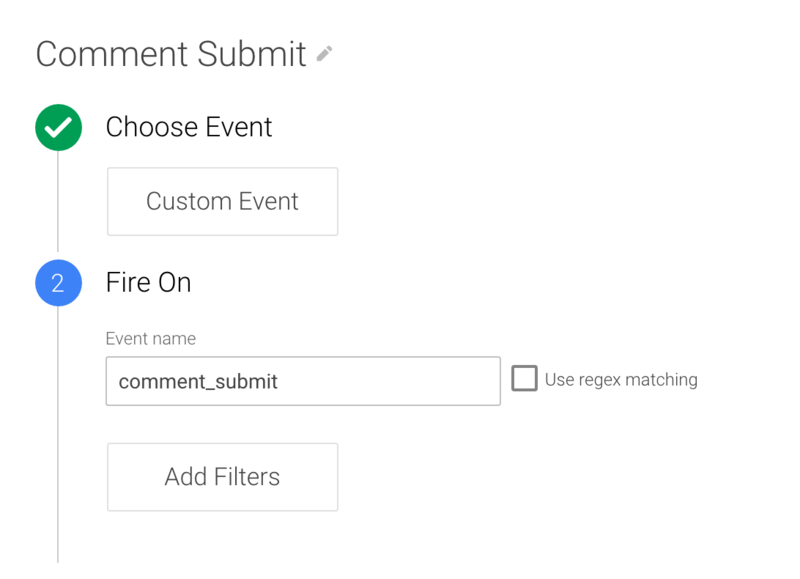 Create a new custom event trigger and set the event to comment_submit. This trigger will now fire whenever comment_submit event is pushed to GTM through the onNewComment callback function. Create a new GA event tag and set the values as shown below. Note that I set the event label to another custom variable illustrated from one of my other posts. You can easily pass in the URL or something uniquely identifiable in there. Since you can already get the URL from a second dimension, I’m using my post title instead. Set the trigger we created in step 3. Submit a comment and see it in action.